Shocking statistics show a level of chronic low self-esteem in men, women and children. 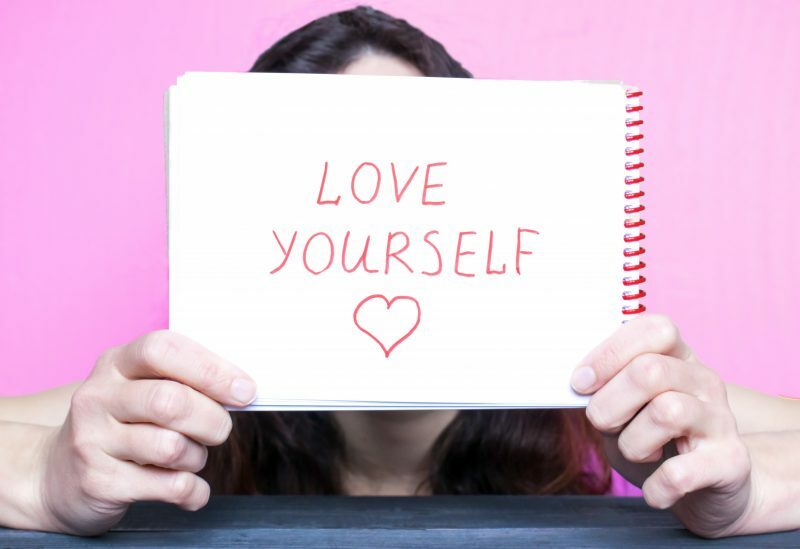 What can we do to help ourselves learn to love ourselves again? Here at Inspired to Change we’ve pulled together some of our favourite Top Tips. What makes you tick? What is so important to you that you’d drag yourself out of bed in the middle of the night to make it happen? What makes your heart sing? We are often so busy just getting through our day to day lives that we disconnect with the things that make us “us”. Write a list of what is most important to you and start making time for them in your life. Make some time just for you – not for you and a friend, or you and your partner or you and your kids – time just for you to do something you love. Go for a walk, read a book, get a massage, sit in a coffee shop by yourself and watch the world go by. Start to enjoy spending time with you as much as your friends do. We are so busy doing things for other people we often forget to do things for ourselves. The most fundamental thing we forget is to nourish ourselves with good food. I know mums who put so much effort into providing healthy food for their children that they forget to make anything for themselves and end up either snacking on their children’s left overs, or making a hasty slice of toast – something they wouldn’t dream of letting their children get by on as they know it’s not a well-balanced diet. Take the time to nourish your body – plan a meal, cook extra so there’s enough for you, don’t leave yourself out of the family meal planning, or don’t think it’s not worth cooking a healthy meal when it’s just you – you and your body are worth it! This is something they tell us in the safety briefing on aeroplanes – if something does happen and the oxygen masks drop down, put your own mask on first before helping others. This makes sense doesn’t it? If you don’t put your own mask on first you might faint through lack of oxygen before you can help the person next to you leaving you both in trouble. And it’s the same in our everyday lives – if we don’t take the time to look after ourselves we won’t be in a position to look after others. Looking after number 1 doesn’t look so selfish when we look at it this way. Write a list of all the good things that you like about yourself. If this is making you cringe just thinking about it that is even more of a reason to do it! If it’s hard, try asking your friends to help you – what do they like about you, what is it about you that makes them want to spend time with you? You might be surprised to hear what they say! It’s time to respect our boundaries! Often people end up overstepping the mark leaving us feeling hurt or angry. But it’s not always the other person’s fault. Often we haven’t been clear about our boundaries, and we’ve not respected them ourselves. Saying no is just fine when it helps us look after ourselves. It’s all too easy to criticise ourselves. We are actually listening to that internal chatter in our heads that tells us we are being stupid so it’s time to start telling ourselves something different! Try telling yourself you look good today when you look in the mirror, say well done when you’ve finished a task, congratulate yourself on getting good deal…look for opportunities to praise yourself and see how empowering it feels. Stop putting limits on yourself and what you can achieve, it’s the quickest way to hold yourself back. Next time you find yourself saying “I can’t do that”, or “I’m not good enough to do that” add one little extra word on the end. “Yet.” When we say we can’t do something our brain shuts down on the idea, why would it waste any energy trying to figure out how to do something we’ve been very clear that we can’t do? When you add the word “yet” on the end of that sentence our whole brain opens up to the possibility that this could happen, and starts looking for ways to make it happen. We are taught as we are growing up to treat others the way we would want to be treated ourselves. Maybe we need to turn that on its head and start treating ourselves the way we treat other people – with respect, with love, with compassion. A good little mental check is to think “what would I say to my best friend right now” and try that out on yourself. Know You, Be You, Love You – you are amazing, and don’t let yourself say anything different! Inspired to Change – The Happiest Team in the UK!